VPN.ac is a Romania-based Virtual Private Network (VPN) owned by the IT security services company, Netsec Interactive Solutions. The company has a small customer base, but is a world-beater in many ways, including in terms of VPN.ac’s connection speeds. The VPN was launched in 2012. It is part of a range of security products offered by the company, which was founded in 2009. Being experts in security procedures, Netsec was able to integrate some unique features into its VPN program. Its obfuscation technique uses elliptic curve cryptography. It is the only VPN to use this methodology. Unusual procedures are important for dodging detection, because VPN blocks look for patterns in encryption that are typical to standard VPN methodologies. A VPN.ac subscription includes access to the company’s SecureProxy service, as well as the VPN. The SecureProxy is a Smart Domain Name System (DNS) configuration, which is suitable for situations where only location masking is needed, instead of the full encryption of a VPN. An example of such a situation is access to streaming services that operate regional restrictions. A high quality and technically competent service. This VPN service is staffed and run by very well educated technicians. The company doesn’t use low-cost call centers for its customer support. On the one hand, that means that all of your enquiries are handled by people who really know what they are talking about. On the downside, this refusal to compromise means that help is not always immediately to hand. Given that the company’s server network is relatively small, the subscription price of VPN.ac is actually quite expensive. The one-year subscription rate works out at $4.80 per month. This is a lot cheaper than some of the major VPN services in the world, but it puts the service at a higher price than its two main Romanian rivals, ibVPN and CyberGhost. This price gets you access to both the VPN and the Smart DNS service. You get an allowance of six simultaneous connections with each of these subscription plans. There is also a one-week trial plan available for $2. That allows up to three simultaneous connections. The number of simultaneous connections available with the subscription is an important factor to take into consideration when you consider the cost of a VPN service, because this allowance enables you to share an account with friends, to bring down the price that each individual pays. As well as credit and debit cards, the company accepts bitcoin, PayPal, Alipay, UnionPay, iDeal, and WebMoney. You can also pay with a SEPA direct debit straight from your bank account. The company accepts a range of pre-paid vouchers, which enable you to create complete anonymity on your account. 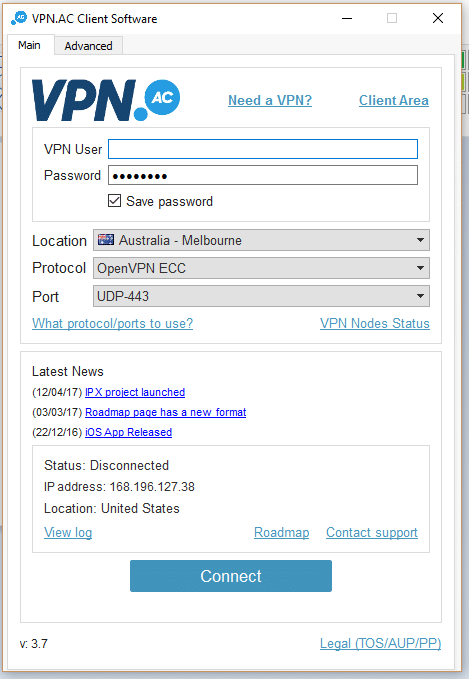 The VPN application offers you the opportunity to switch VPN protocols. The software runs with OpenVPN by default, and you can choose whether to set this to run over TCP or UDP. Generally, UDP is a lot faster. Open VPN is the industry standard, but it uses up a lot of battery power on mobile devices, so you might want to switch to a lighter system. In this case, you can select the L2TP protocol with IPSec encryption procedures. Gamers usually want something faster. For these circumstances, the app has PPTP available. However, this protocol is less secure. The company optimizes the speed of its L2TP implementation, so you may find a connection with this protocol applied is actually faster than the PPTP service. Very few VPNs can get past the Great Firewall of China. VPN.ac is one of that elite. The service’s cloaking methods manage to avoid the thorough scrutiny that all internet traffic is subjected to in China. Analysts have discovered that the Chinese authorities can crack the session establishment encryption used by many VPN services. VPN.ac has extra secure 4096-bit RSA encryption for key distribution, which cannot be broken into. The only other VPN services that offer this level of session establishment security are ExpressVPN and VPNArea. The company’s Smart DNS option is unusual because it includes encryption. Smart DNS is a selective redirection method that directs some of your traffic through a proxy server, while letting your usual traffic go unmediated by its regular route. This option is particularly useful for getting into streaming services with regional restrictions that block access from other countries. VPN.ac is based in Romania, which is a very good place for an internet privacy service. The Romanian High Court consistently throws out any data disclosure laws that the government tries to impose. The Romanian government is not specifically adamant about imposing these rules on the country, but it tries to implement laws in accordance with EU directives on the topic. The last time its efforts got slapped down by the courts was in 2014, and it hasn’t tried since. This makes Romania the safest place in Europe for internet freedoms. The company keeps procedural logs, which are necessary in order to carry out VPN procedures. However, these records are kept in a server in a secret location and get wiped at the end of each day. VPN.ac specializes in data security and is very strident about its attitude towards enforcing privacy. It declares that it will not implement certain connection features that many other VPNs offer, because they are not secure. These no-nos include dedicated IP addresses and port forwarding. For reasons such as licensing fees, copyright agreements and libel and blasphemy laws, media companies don’t like you accessing their content from other countries. They detect your location and block access if you are not in their country. These streaming sites sniff out VPN traffic and block that, too. Netflix is generally the toughest in this league. Both the VPN and the SecureProxy of VPN.ac got me into Netflix US. Curiously, neither got me into the streaming service of ABC or NBC. Both the SecureProxy and the VPN got past detection at BBC iPlayer. 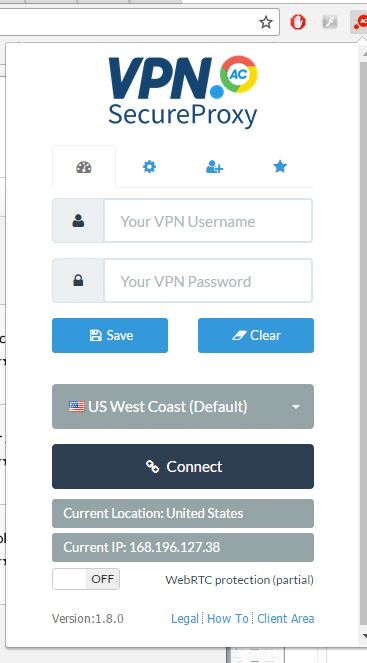 You can open a subscription to VPN.ac by clicking on the “Get It Now” button at the bottom of one of the service period options on the Pricing page. You can also opt for a one-week trial of the service for just $2. Although VPN.ac offers a seven-day money-back guarantee on any subscription period, it is a lot easier to take the one-week trial package in order to get to know the app and decide whether you like it or not. The trial offer is not easy to find. You need to go to the FAQ page and click on the link in the section about the trial. If you want to be completely untraceable, you can pay with bitcoin or a pre-paid card and set up a temporary webmail account for communications with the company. I paid with PayPal. After completing the checkout through a link to PayPal, I received an email – in fact, I received four (one from PayPal and three from VPN.ac). When you fill in your details to apply for the account, you have to make up your own password. This password applies to the Client Area on the website. Your username there is your email address. The activation email contains a second username and password combination, which you use with the actual VPN software. The need to remember two sets of credentials is a bit of a bind, particularly as the username and password for the VPN are both generated as strings of random numbers and impossible to remember. You can change the password in the Client Area, but you can’t change the VPN username. The option to change the VPN password can be accessed from the Services menu option. You then select “My Services” to get to the details of your subscription. Click on the “View Details” button to get to the password reset function. In the next screen you will need to click on the “Change VPN Password” tab to get to the password entry form. The installation process for the VPN client software is not as complicated as the installation instructions imply. Don’t be put off by the commentary in the download page. The process is carried out by a self-installing wizard, so you don’t have to do any of the work that the installation instructions tell you to do. While still in the Client Area of the VPN.ac website, click on the Home button and scroll down to the Quick Links section. Select the name of your operating system to get the download file. Click on the word “installer” to get the file. Click on the downloaded setup file. The program takes quite a while to get going and you may think that nothing is happening. However, bear with it, because it is actually working. Soon, you will see the installation wizard, which you just need to click through until it finishes. You’re not quite done, because there is an extra bit of kit that you are entitled to download. 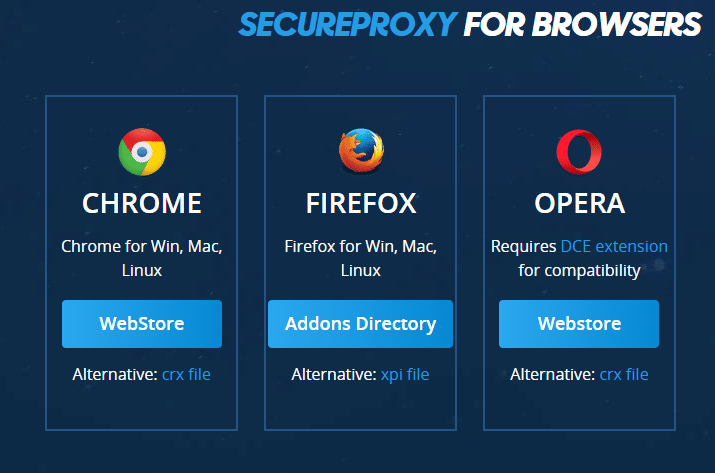 Go to the SecureProxy page of the website, which can be accessed through the menu at the top of any page on the site. Click on the button for your browser type. There is no option for Microsoft Edge. The extension will add itself to your browser, once you OK the action in the selected webstore. Although this download option is available without having to sign up for the service, the extension won’t work unless you have an active account. 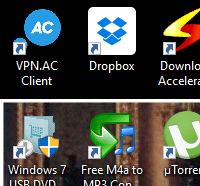 You run the VPN by clicking on its icon on your desktop. Once you have got the program running, it can also be accessed from the service tray. If you have already saved your log-in credentials in the app, you can just run it from the minimized version in the service tray. 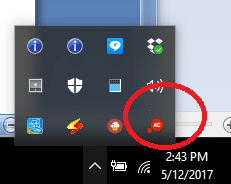 After clicking on the icon, select “Connect” and then double-click on a server location in the list that appears. The first time you use the app, you need to enter your username and password. Make sure you check the box beneath the log-in fields, because then you won’t have to keep trying to remember your username whenever you use the VPN. 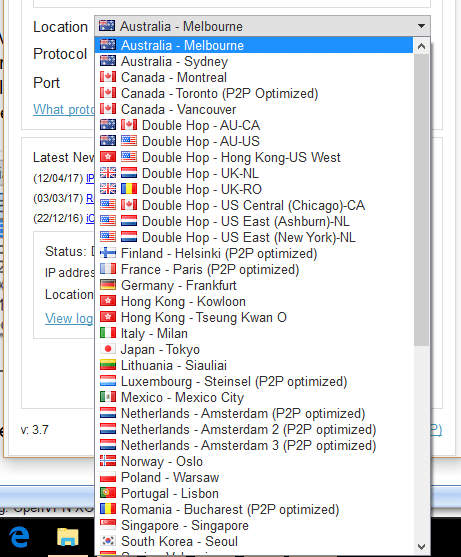 You can choose the VPN protocol to use for the session. However, as a general rule of thumb, you are better off leaving it at the default of OpenVPN with elliptic curve cryptography. You get a choice of ports and whether to run with TCP or UDP. Again, for most connections, you should just stick with the default. It only remains to select a server from the drop-down list and hit the Connect button. You will notice a few specialist options in the server list. Some are optimized for P2P downloading and some options combine VPN servers in different countries to create extra security, with a double-hop VPN encryption path. Some countries have many servers on offer. If you are unsure which to pick, click on the “VPN Nodes Status” link in the app. This will open up a page on the website that shows the current usage of each server. Once you click on the Connect button, you will see an overlay pop up, cycling a graphic that shows that the app is working on the connection. 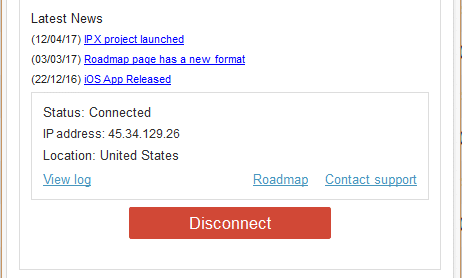 Once the connection is made, you can see your new IP address within the app. You access the SecureProxy extension through an icon that should be located at the end of the address field at the top of your browser. Click on this icon to get the interface to open. The first time you use this utility, you need to enter your VPN username and password. Remember, this is not the same username and password that you use for the Client Area. Click on the Save button after entering your credentials, so you won’t have to enter them again. Select a server location from the dropdown list and click the Connect button. That’s it. If you check your IP address location with a site such as iplocation.net, you will see that the Smart DNS process makes you appear to be in your chosen server location. This service is enough to get you into streaming services in other countries. However, the SecureProxy won’t hide your identity and it won’t improve your connection speeds. VPN.ac doesn’t offer live chat for support. You can click on the “Contact Support” link in the app to open the Support page of the service’s website. There, you fill out a web form and wait for an email response. 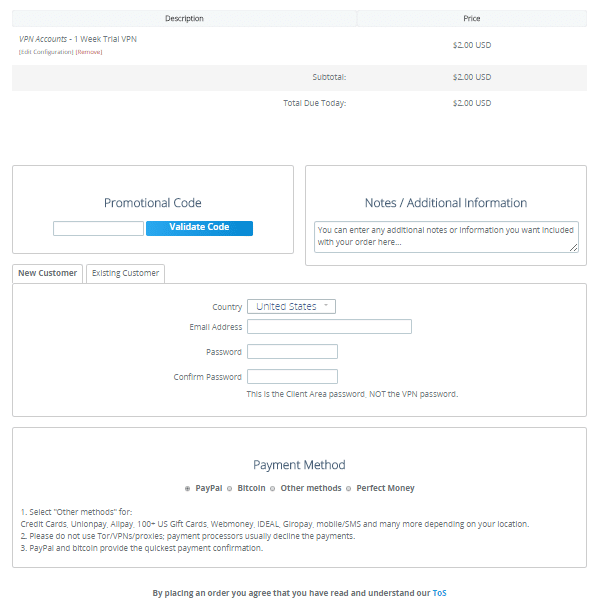 You will immediately receive an auto-response email with a link to the ticket in the support center. You need to check back at this page to see responses. You will receive an alert email when a reply is posted. 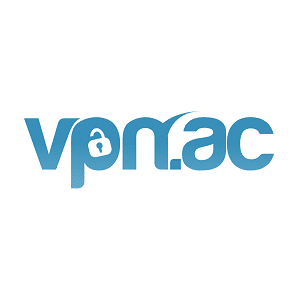 VPN.ac vies with fellow Romanian VPNs for business. That includes CyberGhost, whose VPN really speeds up a standard connection made from a location with a poor internet connection. The VPN service of ibVPN also speeds connections up spectacularly (although its Smart DNS service doesn’t improve connection speeds). VPN.ac is very similar to ibVPN, in that it offers both a VPN and a Smart DNS. The standard connection on the home country of all three of these services is around 35 Mbps. This exceeds speeds usually encountered with standard internet services in the UK and the USA. However, these speed tests were performed in the Dominican Republic, where standard connections do well if they get over 2Mbps. Here are three baseline tests, showing the performance on a local connection, a connection to Miami, and a connection to London without either the SecureProxy or the VPN turned on. Here are the standard local connection’s speeds. This performance is very good by local standards – the internet was having a good day! In both examples, the proxy improved speeds a little. There is nothing specific in the working of a Smart DNS proxy that can improve speeds, so these changes may be due to variations in the performance of the underlying internet service. However, at least applying the SecureProxy server to the connection didn’t slow down performance. After turning off the SecureProxy, I fired up the VPN service, connecting to the company’s server in Miami. The results for the Miami connection above, and the connection to the UK with a London VPN server selected, show an impairment in speed. However, the small differences between these speeds and the speeds experienced without a VPN could just be down to variations in the quality of the local internet service. 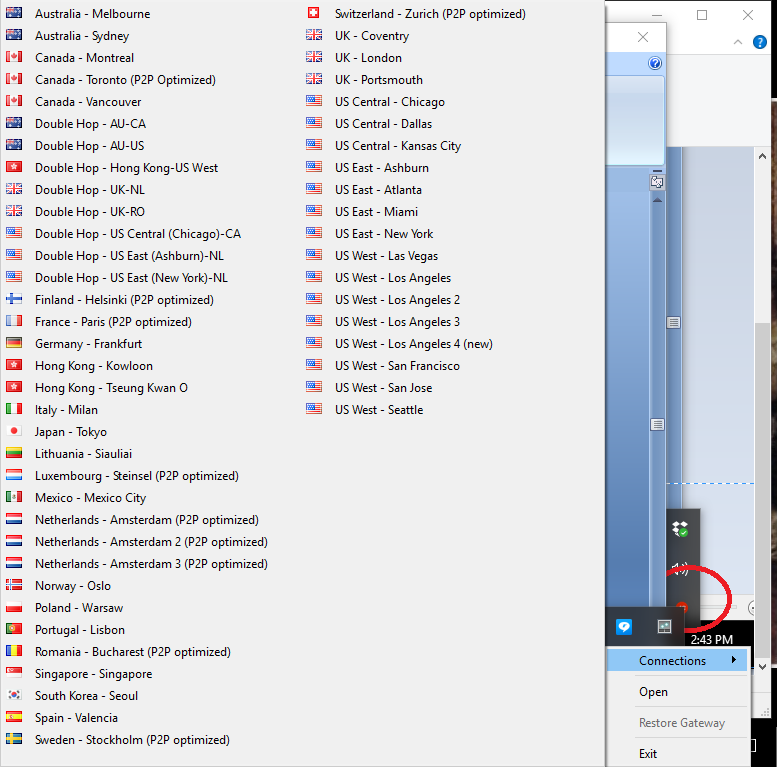 In the same tests, the VPNs from CyberGhost and ibVPN increased speeds on connections to Miami and London by four or five times. Should I Subscribe to VPN.ac? When compared to the performance of ibVPN and CyberGhost, the speeds achieved by this VPN service were a little disappointing. It was also a surprise that both the VPN and the proxy could get into Netflix and BBC iPlayer, but had trouble with the ABC and NBC streaming services – both ibVPN and CyberGhost can get into those two. Along with ibVPN, VPN.ac has a big advantage over CyberGhost, in that it can evade detection in China. This means that the VPN would also be a good tool for those trying to access the internet in Middle Eastern countries such as Iran, Saudi Arabia, and Pakistan, where controls on internet access are almost as difficult to defeat as those of China. Conditions are different in various corners of the Earth, and you may have specific needs from a VPN that I have not tested in this review. Why not try the one-week trial period of VPN.ac to test whether the system works better in your part of the world?